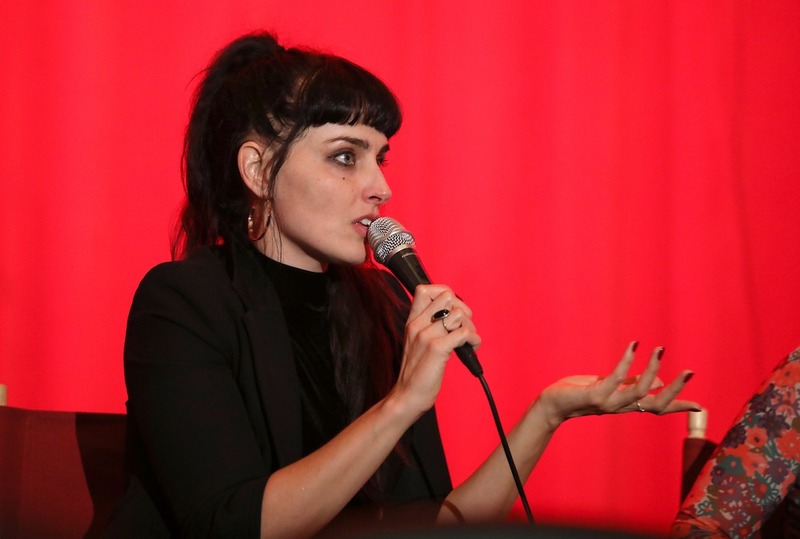 On Wednesday, October 17th, director Malia James screened her new 25-minute film “Blue Lips,” made in collaboration with musician Tove Lo, at the Vista Theater in Los Angeles. The duo took a different approach to creating a film as a showcase for the music from Tove’s latest album – instead of a visual album, comprised of discrete music videos, Malia and Tove opted to create a narrative film that incorporated Tove’s music seamlessly into the fabric of the world of the characters on-screen. 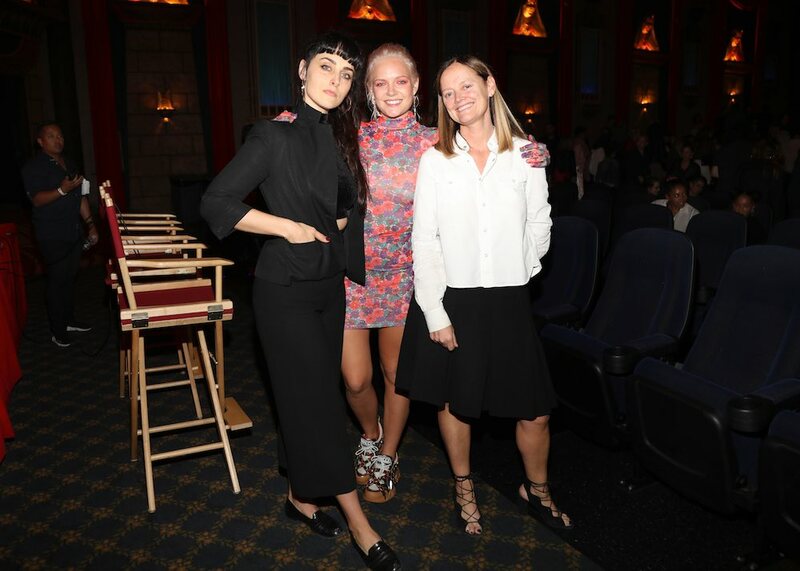 After the screening, Free The Bid’s Executive Director Emma Reeves was on hand to moderate a Q+A discussion with Malia and Tove, shedding light on the production process and the duo’s vision for the film. 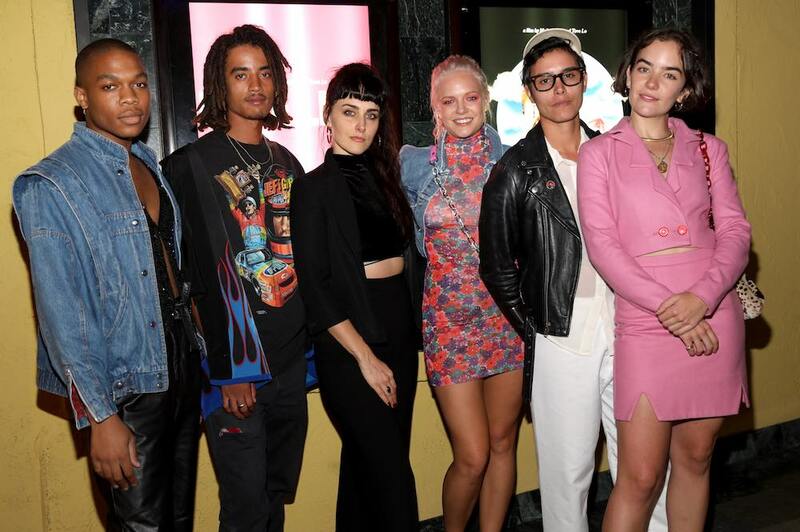 Watch the film (which premiered yesterday on The Fader) above, check out photos from the screening below, and read on for Malia’s thoughts on the film, provided exclusively for the Free The Bid audience! “In the era of visual albums like Beyonce’s “Lemonade” and Sampha‘s “Process, “ I wanted to make a narrative film that used the album as the score. Unlike a traditional narrative short, the film’s primary function was to showcase most or all of the album visually, so each scene was shaped around how we’d incorporate the track. Additionally, the music was to be incorporated in natural ways- like playing on the stereo in the car. Urban Ears (a Swedish headphone and speaker company) largely funded and project. They allowed us to maintain creative control and for the product to be subtly and seamlessly used in the film. “Blue Lips” explores the rich and complicated friendship between two women in a sexually fluid and post-feminist world. The film stars Tove Lo and features her album Blue Lips as the score. Over a string of nights, Tove came to my house and I played some of my favorite films for her (Victoria and Morvern Callar included). We shared our intimate stories of failed loves and friendships, and found that regardless of who you are of where you’ve come from, we find ourselves in the same narratives around love- the failure of something you thought could have been, the first night you stay awake talking to someone you’ve just fallen for, the complicated feeling of you and a friend liking. I’ve never experienced that level of sharing with anyone I’ve worked with before and that will be something I always cherish from this experience. After our discussions, she had a list of personal memories she’d like to see in the film. From there, I filtered them down, added some of my own experiences, created the narrative arc, built our characters, and the timeless gritty world they would live in. I wanted us to show female friendships and love relationships in a positive and more nuanced way- moving away from classic high drama tropes. A few of the moments were left mostly unscripted to allow the actors to settle into their roles quickly and comfortably during our hyper dense shooting days. Ana Coto (Kit) was the only “actor” in the film, so we it was important for me to establish trust with everyone and create a space for them to perform. I found this was an effective method for working with non-actors for the Bose campaign I worked on last year. We only had 8 or so days to prep from when the job awarded and 3 days to shoot- with a separate shoot a music video consuming half of our first day. 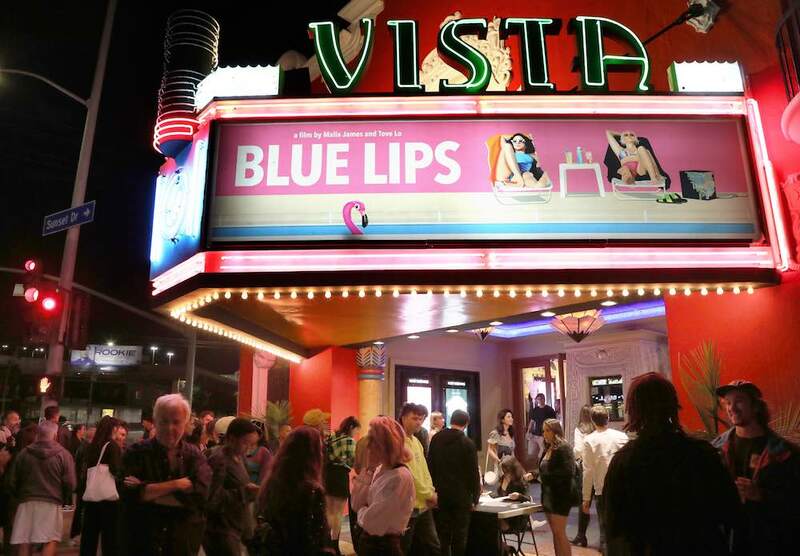 The film opened to a packed house in the historic Vista Theater in Silverlake complete with custom popcorn bags. An afterparty continued the celebration with roller girl performances, vintage arcade games, themed drinks based on the films characters, and gift bags. As this marks the beginning of what I hope to be a future in longer form narrative, it was an emotional and joyous evening for me. Malia James is currently unsigned, but is represented in the US for music videos by Jamie Rabineau of Lark Creative.